If you’ve gone swimming in the deep blue ocean, you’d most likely see one of the most beautiful creatures in the deep swimming around the ocean floor. 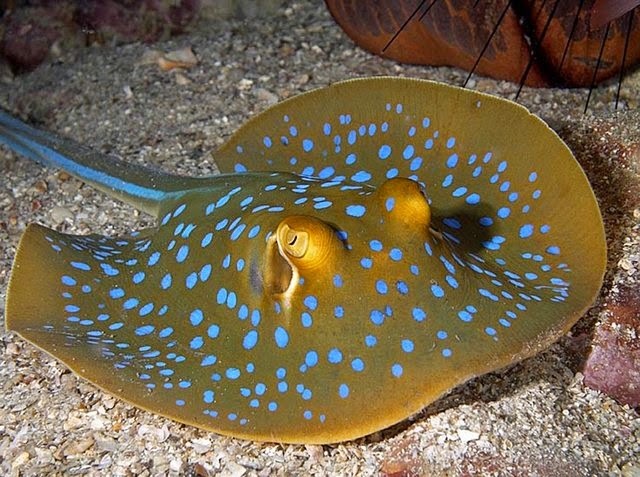 The Taeniura lymma or blue spotted rays, also called blue spotted fantail rays, ribbontail stingray, and blue spotted stingrays, are one of the few colorful stingray species that are known for their large, blue spots seen around their fin and blue colored side-stripes found along their tails. They have an angular and rounded snout and their bodies are broadly rounded around the outer corners. Their short tail tapers at the end and is usually longer than their body’s length. 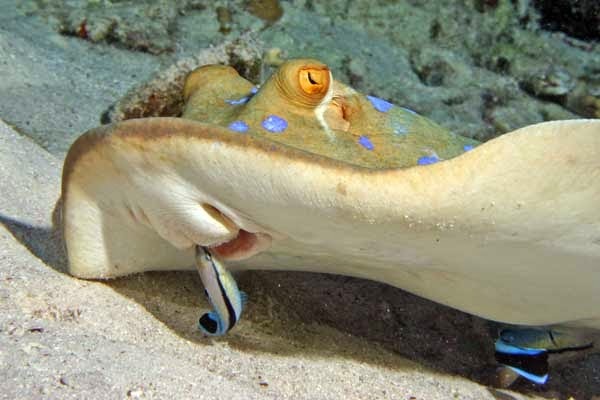 Like all stingrays, they have a stinging spine found on their tails, but this is located further from its tail base compared to most stingrays. Color varies from gray, grown, yellow, olive green and reddish brown. These stingrays can grow to around 70 cm. These colorful creatures can be spotted in most coral reefs, with depths ranging up to 20 meters. They hardly ever stay under the sand and prefer to hover around the sea floor. They’re abundant in the Indo-West Pacific reefs, Red Sea, East Africa, Solomon Islands, Japan and even down to Australia. Blue spotted rays move around in groups, migrating from one shallow, sandy area to another looking for their favorite meal. 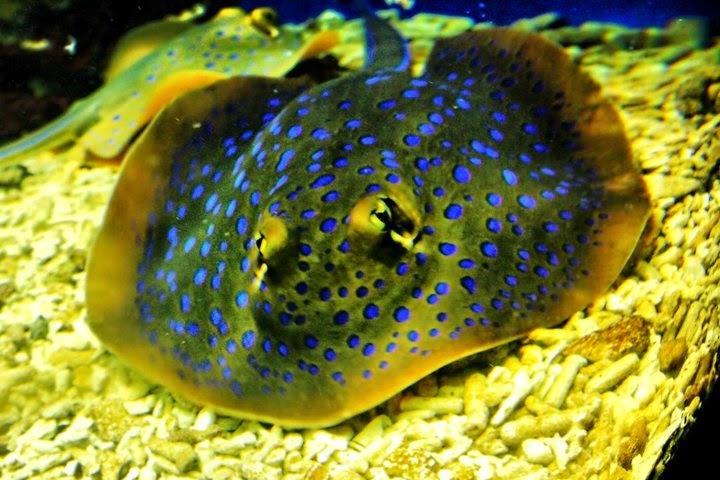 These stingrays live off crabs, shrimps, worms and mollusks which commonly hide under the sand. During low tide, they disperse and usually stay near ledges and caves until the tide comes back in.